In both the Old Testament (OT) and the New Testament (NT) the word “heart” is used to refer to the whole of the innermost part of the human, NOT merely the emotions. However, in the twenty-first century English the word “heart” is used to express the emotions as an individual compartment of the inner part of the human. It is common for Americans to divide humans into the physical and the metaphysical. While this is a widespread insight, the way most Americans compartmentalize the internal (metaphysical) aspect of humans is diverse from many other cultures. We Americans tend to see people as having two separate parts, wherein one part is the emotions, which we refer to as the heart, then a brain, which houses the mind. When both the Old and New Testaments speak about the heart, it never means merely human feelings (emotions). 1) Mental Process, which is the major part (where action & reaction take place), which is to lead a person in their life. 2) Emotions (which only process as reaction), as icing to enrich our lives. 3) Will, the seat of the will (discretionary, volitional, decision-making) where decisions are made between the rational and the emotive. The following excerpts, though thorough, are by no means exhaustive. According to Ed Bulkley, in his book, Why Christians Can’t Trust Psychology, the Scriptures use at least four terms to describe the immaterial part of man: the heart, soul, spirit, and mind. The descriptions and functions of these aspects of man seem to overlap. The biblical term heart (lawbab or lebab in Hebrew; kardia in Greek) is the clearest summary of the innermost center of the human being. Peter describes the inner man as “the hidden man of the heart” (I Peter 3:4 KJV), or the “inner self” (I Peter 3:4 NIV). It is the center of one’s being (Proverbs 4:23), where he believes and exercises faith (Luke 24:25; Romans 10:9,10). It is the location of the human deliberation, where wisdom is employed. Understanding is said to be the function of the mind (Job 38:36), yet the connection to the heart is undeniable. The heart is where a person discerns the difference between right and wrong (I Kings 3:9). Finally, Bulkley says, the heart is the center of courage, emotions, and will. “Therefore we do not lose heart. Though outwardly we are wasting away, yet inwardly we are being renewed day by day” (2 Corinthians 4:16). The heart is the center of man’s character – who he really is (Matthew 15:18). The Greek word kardia (2588), rendered “heart” (English, “cardiac,”), is the chief organ of physical life (“for the life of the flesh is in the blood,” Lev. 17:11), occupies the most important place in the human system. By an easy transition, the word came to stand for man’s entire mental and moral activity, both the rational and the emotional elements. In other words, the heart is used figuratively for the hidden springs of the personal life. The Bible describes human depravity as in the “heart”, because sin is a principle which has its seat in the center of man’s inward life, and then ‘defiles’ the whole circuit of his action, Matt. 15:19, 20. On the other hand, Scripture regards the heart as the sphere of Divine influence, Rom. 2:15; Acts 15:9…. The heart is the center of the physical, mental, and spiritual life of humans. This contrasts to the normal use of kardia (“heart”) in Greek literature outside the Scriptures. The New Testament follows the Old Testament usage when referring to the human heart in that it gives kardia a wider range of meaning than it was generally accustomed to have. 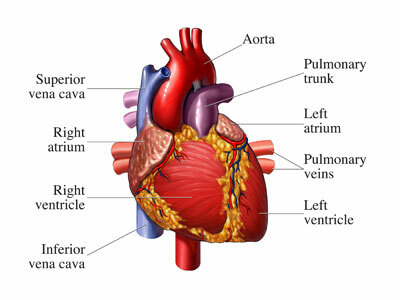 First, the word heart refers to the physical organ and is considered to be the center of the physical life. Eating and drinking are spoken of as strengthening the heart (Gen. 18:5; Judg. 19:5; Acts 14:17). As the center of physical life, the heart came to stand for the person as a whole. The heart became the focus for all the vital functions of the body; including both intellectual and spiritual life. The heart and the intellect are closely connected, the heart being the seat of intelligence: “For this people’s heart is waxed gross … lest at any time they should … understand with their heart, and should be converted” (Matt. 13:15). The heart is connected with thinking: As a person “thinketh in his heart, so is he” (Prov. 23:7). To ponder something in one’s heart means to consider it carefully (Luke 1:66; 2:19). “To set one’s heart on” is the literal Hebrew that means to give attention to something, to worry about it (1 Sam. 9:20). To call to heart (mind) something means to remember something (Isa. 46:8). All of these are functions of the mind, but are connected with the heart in biblical language. Closely related to the mind are acts of the will, acts resulting from a conscious or even a deliberate decision. Thus, 2 Corinthians 9:7: “Every man according as he purposeth in his heart, so let him give.” Ananias contrived his deed of lying to the Holy Spirit in his heart (Acts 5:4). The conscious decision is made in the heart (Rom. 6:17). Connected to the will are human wishes and desires. Romans 1:24 describes how God gave them up “through the lusts of their own hearts, to dishonor their own bodies.” David was a man after God’s “own heart” because he would “fulfill all” of God’s will (Acts 13:22). 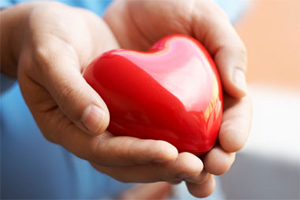 Not only is the heart associated with the activities of the mind and the will, but it is also closely connected to the feelings and affections of a person. Emotions such as joy originate in the heart (Ps. 4:7; Isa 65:14). Other emotions are ascribed to the heart, especially in the Old Testament. Nabal’s fear is described by the phrase: “his heart died within him” (1 Sam. 25:37; compare Ps. 143:4). Discouragement or despair is described by the phrase “heaviness in the heart” which makes it stoop (Prov. 12:25). 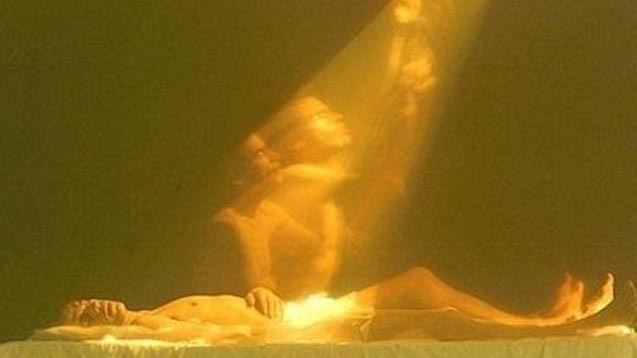 Again, Ecclesiastes 2:20 says, “Therefore I went about to cause my heart to despair of all the labor which I took under the sun.” Another emotion connected with the heart is sorrow. John 16:6 says, “because I have said these things unto you, sorrow hath filled your heart.” Proverbs 25:20, describes sorrow as having “an heavy heart.” The heart is also the seat of the affection of love and its opposite, hate. In the Old Testament, for example, Israel is commanded: “You shall not hate your brother in your heart, but you shall reason with your neighbor, lest you bear sin because of him” (Lev. 19:17 RSV). A similar attitude, bitter jealousy, is described in James 3:14 as coming from the heart. On the other hand, love is based in the heart. The believer is commanded to love God “with all your heart” (Mark 12:30; compare Deut. 6:5). Paul taught that the purpose of God’s command is love which comes from a “pure heart” (1 Tim. 1:5). Finally, the heart is spoken of in Scripture as the center of the moral and spiritual life. The conscience, for instance, is associated with the heart. In fact, the Hebrew language had no word for conscience, so the word heart was often used to express this concept: “my heart shall not reproach me so long as I live” (Job 27:6). The Revised Standard Version translates the word for “heart” as “conscience” in 1 Samuel 25:31 (RSV). In the New Testament the heart is spoken of also as that which condemns us (1 John 3:19-21). All moral conditions from the highest to the lowest are said to center in the heart. Sometimes the heart is used to represent a person’s true nature or character. Samson told Delilah “all his heart” (Judg. 16:17). This true nature is contrasted with the outward appearance: “man looks on the outward appearance, but the Lord looks on the heart” (1 Sam. 16:7 RSV). 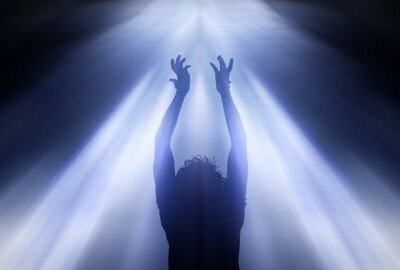 On the negative side, depravity is said to issue from the heart: “The heart is deceitful above all things, and desperately wicked: who can know it?” (Jer. 17:9). Jesus said that out of the heart comes evil thoughts, murder, adultery, fornication, theft, false witness, slander (Matt. 15:19). In other words, defilement comes from within rather than from without. 2. A. R. Johnson has shown that a fundamental characteristic of OT anthropology is the awareness of totality. Man is not a body plus a soul, but a living unit of vital power, a psychophysical organism. 3. The Hebrews thought of man as influenced from without, by evil spirits, the devil, or the Spirit of God, whereas in modern psychology the emphasis has tended to be placed on dynamic factors operating from within (though at the present time, fresh interest is being evoked in the study of environmental forces as factors influencing human behavior). 4. The study of particular words in the OT and NT affords a comprehensive view of the underlying Hebrew and Christian conceptions of man. The OT English versions of the Bible, several Hebrew expressions are translated “heart,” the main words being leb and lebab. In a general sense, heart means the midst, the innermost or hidden part of anything. Thus, the midst (or heart) of the sea (Ps. 46:2); of heaven (Deut. 4:11); of the oak (II Sam. 14:18). In the physiological sense, heart is the central bodily organ, the seat of physical life. Thus, Jacob’s heart “fainted” (Gen. 45:26); Eli’s heart “trembled” (I Sam. 4:13). However, like other anthropological terms in the OT, heart is also used very frequently in a psychological sense, as the center or focus of man’s inner personal life. The heart is the source, or spring, of motives; the seat of the passions; the center of the thought processes; the spring of conscience. Heart, in fact, is associated with what is now meant by the cognitive, affective, and volitional elements of personal life. The book of Proverbs is illuminating here: The heart is the seat of wisdom (2:10; etc. ); of trust (or confidence) (3:5); diligence (4:23); perverseness (6:14); wicked imaginations (6:18); lust (6:25); subtlety (7:10); understanding (8:5); deceit (12:20); folly (12:23); heaviness (12:25); bitterness (14:10); sorrow (14:13); backsliding (14:14); cheerfulness (15:13); knowledge (15:14); joy (15:30); pride (16:5); haughtiness (18:12); prudence (18:15); fretfulness (19:3); envy (23:17). 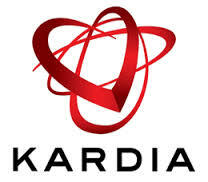 The NT word for heart is kardia. It, too, has a wide psychological and spiritual connotation. Our Lord emphasized the importance of right states of heart. It is the pure in heart who see God (Matt. 5:8); sin is first committed in the heart (Matt. 5:28); out of the heart proceed evil thoughts and acts (Matt. 15:19); forgiveness must come from the heart (Matt. 18:35); men must love God with all their heart (Matt. 22:37); the word of God is sown, and must come to fruition, in the heart (Luke 8:11-15). lebab is rendered heart, understanding, and mind (also used in idioms such as “to set the heart upon” meaning “to think about” or “to want”). Concrete meanings of leb referred to the internal organ and to analogous physical locations. However, in its abstract meanings, “heart” became the richest biblical term for the totality of man’s inner or immaterial nature. To “set the heart to” may mean to “pay attention to” (Ex 7:23) or to “consider important” (II Sam 18:32). Creative thought is a heart function. Wicked devices originate in the heart (Gen 6:5). The RSV translates “which came upon Solomon’s heart” as “all that Solomon had planned” (II Chr 7:11). Wisdom and understanding are seated in the heart. The “wise heart” (I Kgs. 3:12; RSV, “wise mind”) and “wise of heart” (Prov 16:23) are mentioned. This idiom can be so strongly felt that “heart” virtually becomes a synonym for such ideas as “mind” (II Chr 9:23; RSV) or ‘sense” (Prov 11:12; RSV). The heart functions in perception and awareness as when Elisha’s heart (i.e. Elisha’s perceptive nature; RSV “spirit”) went with Gehazi (II Kgs 5:26). Hopefully from the plethora of references cited, it is beyond dispute that when the Bible refers to the heart it is not referring to the emotions solely. While the emotions are a blessing of God, that lend exuberance and passion, both in the negative and positive aspects of sensation; they are never meant as the sole device of discretion. This is the place of the seat of the will, but always according to the intellect in response to what God has said. And while we should consider the emotions in any decisions we make, this is always in a subservient role, never taking preeminence. 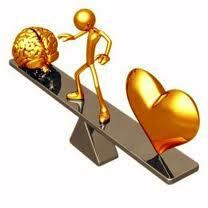 There is an abundance of references to the heart as having the lead role in decision-making. 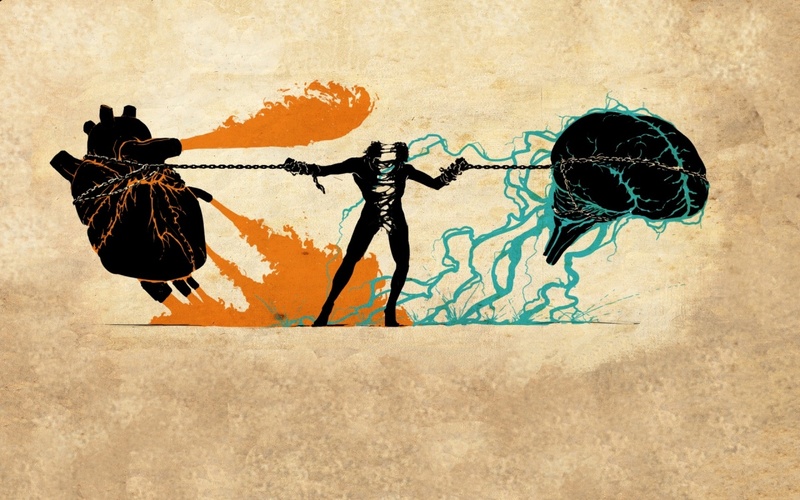 Both the Old and New Testaments present the word “heart” as always used to include the mental process (rational and reason), and the will (volition), as well as the emotions. Personally, I believe the best definition of heart, is the focus and determination of the mind, and the response of the emotions. The Bible never instructs us to be led by our emotions, but rather by our minds. It is with our minds that we focus our attention and choose to obey God, and it is those actions that first are decided with our mind in consideration of what we focus on – that is what God holds us accountable for. as our Will determines the direction that we take. We must always remember, what God says about the human heart, that it: “… is deceitful above all things, and desperately wicked,”8 because man is a fallen creature, subject to sin; however, it is also with our heart that we exercise faith9 unto salvation. Yet at the same time we must always remember that without our emotions we are robots. Emotions are the icing of the cake and without them life becomes drab and pale, lifeless and purely analytical. Therefore, we are to rationally think with our minds, yet always understanding that our emotions do come into play and therefore be cautious that our emotions do not become our sole determinant when it comes to the decisions of our daily life. Enjoy our emotions, allow them to take their sacred place within our being, yet when all is said and done it is with our mind that we choose our paths. 1. STRONG’S EXHAUSTIVE CONCORDANCE TOGETHER WITH DICTIONARIES OF HEBREW AND GREEK WORDS, James Strong, Baker Book House Company, Grand Rapids, MI 49546, USA, 1981, electronic media. 2. WHY CHRISTIANS CAN’T TRUST PSYCHOLOGY, Ed Bulkley, PH. D., Harvest House Publishers, Eugene, OR 97402, 1993, Page 335, 336. 3. VINE’S EXPOSITORY DICTIONARY OF OLD AND NEW TESTAMENT WORDS, W.E. Vine, Ellis Enterprises Inc., Oklahoma City, OK 73120, USA, 1988, electronic media. 4. HOLMAN BIBLE DICTIONARY, General Editor: Trent C. Butler, PH. D., Gerald Cowen, Holman Bible Publishers, Nashville, TE 37234, USA, electronic media. 5. EASTON’S BIBLE DICTIONARY AND BOOK SYNOPSIS, Easton, M.G., Ellis Enterprises Inc., Oklahoma City, OK 73120, USA, 1988-1999, electronic media. 6. ELWELL’S EVANGELICAL DICTIONARY OF THEOLOGY, Walter A. Elwell, Baker Book House Company, Grand Rapids, MI 49546, USA, 1984, electronic media. 7. HARRIS’S THEOLOGICAL WORDBOOK OF THE OLD TESTAMENT, Harris, R. Laid, Moody Press, Chicago, IL 60610, USA, 1980.